Dreyfus Söhne & Cie AG, Banquiers is connected to Bloomberg's EMSX and TSOX interfaces via the new MAP interface since October 2018. Thus, the long-standing MACD customer has been able to expand their STP trading to foreign securities. For the established private bank this interface enables international trading with various counter parties without multiple re-keying. The Helvetische Bank has become a sponsor for the sponsored funds segment of SIX Swiss Exchange. They started market making in two products. MACD is their partner for trading software and contributed to the successful start of the automatic market making. The Helvetische Bank has installed several order management and market making systems from MACD. Our XKYTE customer Basellandschaftliche Kantonalbank successfully went live with SwissAtMid on 25th of September 2018 and can now use this new functionality offered by the SIX Swiss Exchange. The SIX Swiss Exchange describes SwissAtMid as "... a service that offers the opportunity for mid-point execution on Swiss equity instruments directly within the largest source of liquidity." In addition to some updates, all XKYTE customers will be upgraded to the latest XKYTE Message Build 33 by the end of the year. UK-based Schroders Wealth Management (US) has, since the beginning of May, been using the XKYTE FIXBOX to automatically route its securities orders from their banking system to various brokers. Thus, a second group member of Schroders now counts on our product XKYTE. With Schroders, two well-known UK customers now implement their workflow using MACD products. With the GLOX 9.6 release all the strategies offered by our broker Bank Vontobel (algorithmic order types) are shown in the GLOX front-end. The algo parameters can be applied to the order and will be traded using straight-through processing (STP). GLOX 9.6 is already compatible with the Eurex T7 release, which is expected to go live by the end of 2018. Our software engineers are continuing to work on improving the internal build pipeline to follow the goal of a continuous deployment and to improve the update procedures to make them easier and more secure. Further news can be found in our GLOX 9.6 Release Notes. The first GLOX customer went live on 22nd of August with the new Routing Service and today it is already implemented by all GLOX customers. The Routing Service controls orders, trade reports and quotes in GLOX and provides a prioritised list of destinations in the Enter Order Dialog in the Trading Client. Also the destination for FIX messages is decided depending on the context (e.g. the selected order type and the stock exchange of the order). MACD Customer Workshop "FX Trading"
The MACD Account Management Team welcomed representatives of various financial institutions to a workshop in Zurich on 6th of September 2018 to exchange views on foreign exchange trading. The aim was to analyse the current situation and the existing depth of automation among customers and to evaluate "gaps" in the foreign exchange trading process. In particular, the topic of white-labeling and the development of an FX trading front end for the different counter parties will be pursued by MACD, as there are already concrete customer requirements. If you are interested in the results of the workshop or FX solutions in general, please contact Tomas Fort, MACD Sales & Account Management. The gradual consolidation of the teams in Urdorf and Aachen continues. IT Administrator Yannick Kaumba moves from Aachen to Urdorf. 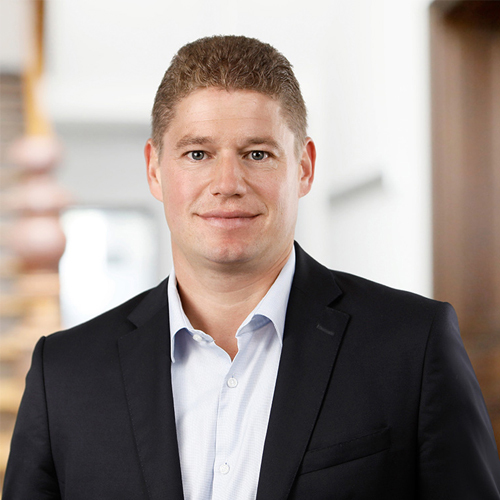 We welcome our new IT administrator Christoph Strauch in Aachen. In the course of the merger, the team names have been standardised. The Technical Account Management Teams in Aachen with Marcel Cordewener as Team Leader and in Urdorf with Erich Meienberg as Team Leader can be reached at the same e-mail address supportmacd.com. The System Administration Team has migrated services from Aachen to the new data center in Zurich. In Aachen and Urdorf, a new firewall with high availability is built and a new central log management is introduced, which offers new possibilities to analyse and correlate data. At the joint summer party in Stuttgart, "old" and "new" MACD employees get to know each other in a relaxed atmosphere, explore the city by Segway or visit the Mercedes-Benz Museum. The MACD Conference takes place in the HWZ Zurich and we achieve a new participant record with about 90 registrations. Scaled Agility @ MACD - Our Software Engineering Teams identify potential for improvement in process and communication. Three project teams start implementing the new project management process. MACD implements the new EU General Data Protection Regulation GDPR and informs customers and partners about privacy at MACD. First joint projects are underway, such as the on-boarding of our new customer Bank am Bellevue with GLOX as well as the go-live of the Luzerner Kantonalbank with the XKYTE Quoting module. Our main products XKYTE and GLOX are connected, so that customers can access the entire MACD network. Almost at the same time as the merger officially took effect, all employees at the new Urdorf site are provided with MACD e-mail addresses and have access to the Confluence and JIRA internal tools. At the same time we launch our new corporate design. Brochures and flyers as well as the new MACD homepage appear in a fresh look.